Many entrepreneurs are driven by a passion to solve a societal challenge and to make a difference in the world. 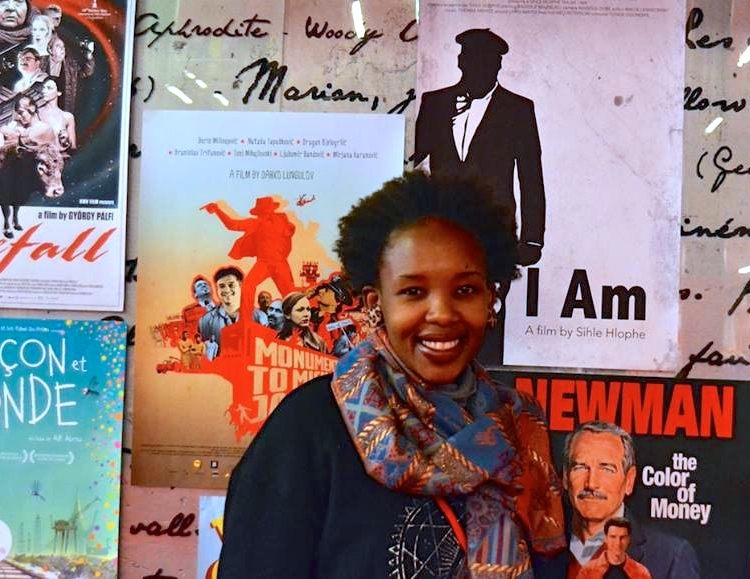 For South African entrepreneur, Sihle Hlophe, founder of Passion Seed Communications, her inspiration came from a desire to see films and television programmes in her mother tongue SiSwati. LoA chatted to inspirational founder, Sihle Hlophe, to find out more about this ground-breaking company producing local language content. Passion Seed Communications is a film and television production company that is geared towards giving a platform to minority languages and minority groups. At Passion Seed Communications, we take your idea from the page to the screen. The company’s main area of speciality is producing fiction and non-fiction content for theatrical release, live event coverage and corporate videos. Passion Seed has been commissioned by organisations such as the National Film & Video Foundation, the Foundation For Human Rights, SAB Miller, the Hot Docs Blue Ice Group Fund and the New York Times. Recent projects include "Nomfundo," a short film that has been screened at prestigious film festivals as far afield as Europe, North America and Australia and "Lobola, A Bride's True Price," a feature-length documentary that was awarded the “Most Outstanding Documentary Project” award at the Durban Film Mart in July 2017. "At Passion Seed Communications, we take your idea from the page to the screen." Growing up, it was very rare for me to see people who spoke my mother tongue (SiSwati) on television. I vowed that one day I would do something to change that. After completing film school and working in the industry for roughly 3 years, I decided to pursue a Masters Degree in Communication Studies. I used the opportunity to investigate why languages such as SiSwati and isiNdebele are largely absent from our screens; that is why the title of my paper was, “The Representation of Minority Languages On SABC 1: The Case Of SiSwati”. This interest in giving a platform to minority languages and minority groups spilled over into my entrepreneurial endeavours. I’ve always been a socially conscious entrepreneur so I wanted my business to represent my values, ultimately that is what inspired me to start my company. Our work is internationally recognised. We have screened our content in countries such as Finland, the USA, Australia, England and Switzerland. Some of our funding partners are prestigious international funding bodies such as the Hot Docs Blue Ice Group Fund (Canada), New York Times Op Docs (USA) and IDFAcademy (Netherlands). We have a highly creative team of skilled media practitioners, a stellar work ethic, fantastic organisational skills and truckloads of passion. The team has more than 10 years of experience in the local film and television industry and extensive networks in various parts of the world. We also pride ourselves on hiring female technicians (videographers, sound recordists, producers, directors, editors etc.). We have the credibility and capacity to take your idea from the page to the screen. "Growing up, it was very rare for me to see people who spoke my mother tongue (SiSwati) on television. I vowed that one day I would do something to change that." Passion Seed is managed by Sihle Hlophe (Executive Producer), who is supported by Sthemba Mahlalela (Operations Manager) and a growing team of independent contractors and interns. Award-winning writer/director Sihle Hlophe founded the company in 2014. She holds an MA in Communication Studies, a Post-Graduate Diploma In Marketing Management and a BA in the Dramatic Arts. She is also a Hot Docs Blue Ice Group Fund Fellow. Sihle has written and directed two narrative shorts and a handful of documentaries. She is the director and executive producer of "Lobola, A Bride's True Price," a documentary project that won the 'Most Outstanding Documentary Project' award at the Durban Film Mart in July 2017; the award was sponsored by IDFA. The prize was an all-expenses paid trip to attend the prestigious IDFA Academy in the Netherlands. Her work has been screened at film festivals as far afield as North America, Europe, Australia and various parts of Africa. She has worked as a scriptwriter and story-liner for popular TV shows (“Scandal," “Broken Vows," “Lockdown," “Mutual Friends”, etc.) aired on all the major broadcasters in South Africa. Sihle also has experience as a content director, production manager and post-production supervisor. Her work promotes minority languages and gives a platform to marginalised voices. Sithembokuhle ‘Sthemba’ Mahlalela has always loved interacting with people from all walks of life. Her excellent communication and customer care skills were developed at Flexi Club (Club Leisure Group) where she worked as a Receptionist and Public Relations Officer for 5 years. Sthemba’s interpersonal skills make her a natural co-ordinator and manager. As the Operations Manager of Passion Seed Communications, she is responsible for overseeing the provision of all services and ensuring that the organisation is running as well as it possibly can by offering an efficient service that meets the expectations and needs of all customers, clients and employees. Sthemba’s ambition, drive to deliver and love for the arts really set her apart from the rest. I established my first film and television production company, Brain Matter Media, with 9 classmates in 2007. We were very young and our knowledge about running a production company was very limited. Within a few years the company folded; that was a very difficult time in my life but I picked myself up and went to business school in order to avoid repeating the same mistakes. I established Passion Seed Communications in 2014 and I haven’t looked back since. Insofar as running a business is concerned, Passion Seed is everything I have ever wanted and more and I am deeply grateful for its continued growth and success. Entrepreneurship has always been in my blood; my mother’s oldest sister ran a successful business, so did my maternal grandparents. "I’ve always been a socially conscious entrepreneur so I wanted my business to represent my values, ultimately that is what inspired me to start my company." In the near future, Passion Seed will still be focused on giving a platform to minority languages and minority groups. It will be one of the leading socially conscious film and television production companies in Africa. Passion Seed will also be known for creating boundless opportunities for African filmmakers, especially women and members of minority groups. Most importantly, the company will be providing large volumes of media content to broadcasting platforms all over the globe. The ability to birth ideas and see them come to fruition as real projects that employ real people is truly fulfilling. The knowledge that I can make a difference in the world with my work is beyond empowering. Waking up every morning knowing that I am in charge of shaping my own destiny gives me strength and courage. Most importantly, touching people’s lives with the stories I am privileged to tell, gives me a reason to keep going, even when things aren’t going my way. Go for it! Do your research and just take the plunge. Believe in yourself and others will do the same. You are enough. Be diligent with your finances. Don’t be intimidated by the sales process. Don't allow anything or anyone to dim your light. Shine! Read about the journeys of other female entrepreneurs and draw strength and inspiration from them. Life is too short to turn your back on your dreams. Gratitude is the key to true happiness. Most importantly, as we always say at Passion Seed Communications, do it with passion or not at all.